"This is a Magnificent storyline. I know that reviews aren't always believable but I can say I was very empress with this storyline, from the beginning I thought this is such great story to read. Kim Fox is a awesome storyteller. The way she writes is so entertaining. I read this book in one sitting from beginning to end, I could not put it down. I felt as if I was in the story with the characters. This storyline is fantastic and the plots flows well, the interpersonal relationships are more involved and add depth to the storyline. I think Kim Fox has a creative ability to build fantasy worlds with awesome characters that is great entertainment. The scenes will become so real to you. I was so amazed and excited when I was reading this books. This story will have you laughing out loud and excited to read about the three other brothers." "I'm running out of great things to say about Kim Fox! I have loved every one of her books! The Vega Brothers series is just another reason why I can't get enough of reading Kim. The plot was interesting. The storyline flowed smoothly throughout. The characters were well-developed and interesting. I loved all of the brothers! Ava was the perfect match for Julius! This story was really hilarious. I can't go into details because I don't want to ruin it for those of you who haven't read it yet! This is a MUST read! I'll be adding this one to my personal Kindle Library for sure! I can't wait for book 2." "I am a sucker for shifter books. Throw in there the mail order aspect as well and you have a wonderful book. Kim Fox did an excellent job with the writing and story of Julius. Must read for any shifter romance lover"
Julius Vega never wanted a mate. The four Vega brothers were all traumatized by their father’s experience with his mate and all vowed to be single forever. They have just returned from fighting overseas in the Shifter Special Forces to find out that their father has just died, and bad news turns worse when they find the will which states that all four brothers must get married and find mates within a year or they lose their beloved family ranch forever. After polishing off a bottle of wine to wash down the pain killers for the root canal that she just had, Ava King is feeling a little loopy. She OD’s on some inspirational quotes on her Pinterest account and is feeling on top of the world. But when she wakes up her whole world comes crashing down. In the fog of her headache, she remembers that she left a message for her boss, quitting her job, sent a text to her deadbeat boyfriend, breaking up with him, and signed up to a mail order bride website in another state. So when she gets a call for a date, she has nothing to lose and drives the eleven hours from Seattle to Colwood, Montana. Ava and Julius meet on the mail order bride website and quickly hit it off. But as they’re starting to fall in love the truth comes out and it rips them apart. Julius is in danger of losing the Vega Ranch but that’s nothing compared to the threat of losing his mate. 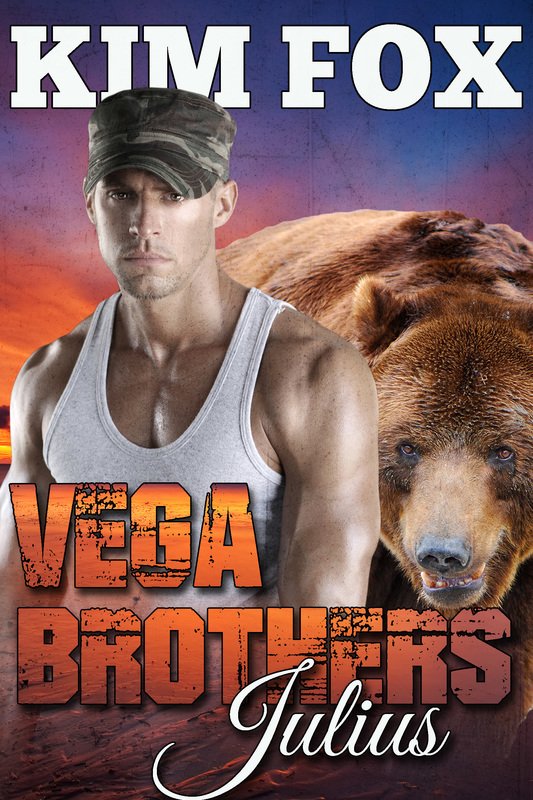 This is the first book in the paranormal bear shifter romance series: Vega Brothers (The Bear Shifters of Vega Ranch Book One featuring Julius). This can be read as a standalone book.